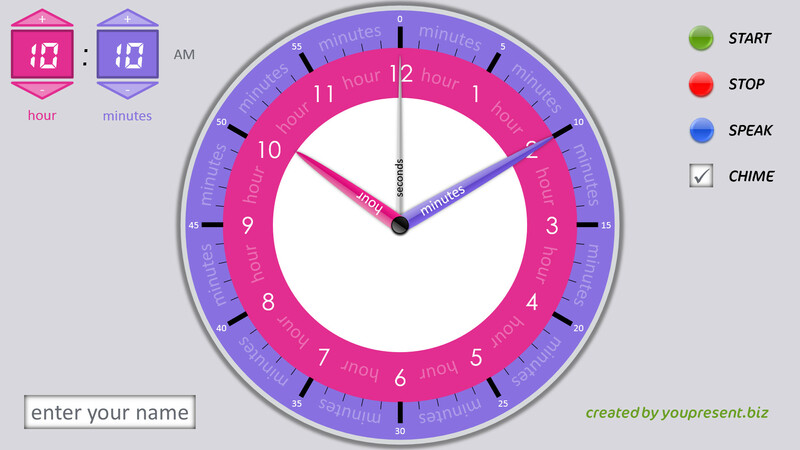 Full colour-coded analogue clock face with hour, minute and second hand. You can download the single PowerPoint file below and if you’d like to use the optional digital clock font and hourly chime audio, those may also be downloaded further below. You can use the clock free of charge under the Creative Commons license which includes the Commons Deed and License Legal. In return, all we ask is that you maintain the credit to us that appears on the slide and that you don’t attempt to change, extract or ruse the code in unauthorised projects. The clock is a macro-enabled PowerPoint file that has been digitally signed by our company to guarantee its authenticity. The clock uses a couple of free resources which we are unable to distribute with the product. You can however download them for free and use them with the clock. Once downloaded, open Windows Explorer, right-click on the required font file and click Install. Right-click on the link below and save the file to the folder by typing %APPDATA% in the Windows Explorer URL bar. If you have a presentation or Office automation project that you’d like help with, you’ve come to the right place. Our developers know PowerPoint inside out and as you can see above, they know how to program it too. Get in touch for a free discussion about your needs. We can also provide license for source code for our free products.